For our last macabre tale of fall, I bring you the biography of the devil himself. It seemed fitting, even though it wasn't spooky or scary. After all, what is Halloween without the devil? And in this charming, witty and clever tale is the world's best character, the first love story and the first broken heart. A complete delight. I think it's obvious that my favourite thing about this book was Poore's rendition of the devil. He's as charming as you'd hope he would be, clever, but also complicated with a colourful history. It takes you back through history to the start of the world, with surprising twists and turns and intriguing subplots. 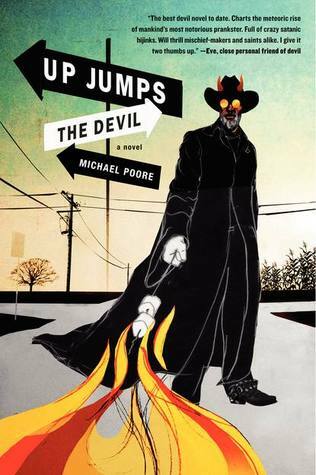 Poore has created a truly vivid portrait of one of the most universally misunderstood bad guys, with a fantastic story to boot. This was the perfect weekend read. Original and unique, a story I won't soon forget. I'm adding this to my ever growing to-read pile. It sounds interesting! Also, I followed you from Book Blogs :) Can't wait to see more of your posts.